Best Seller !!! Polypro Hula Hoop 11/16" Color Shifting Black Mamba- Collapsible for Travel- Push Pin Connection-Sizes 22"-38"
This listing includes one polypro 11/16” Color Shifting Black Mamba hula hoop. 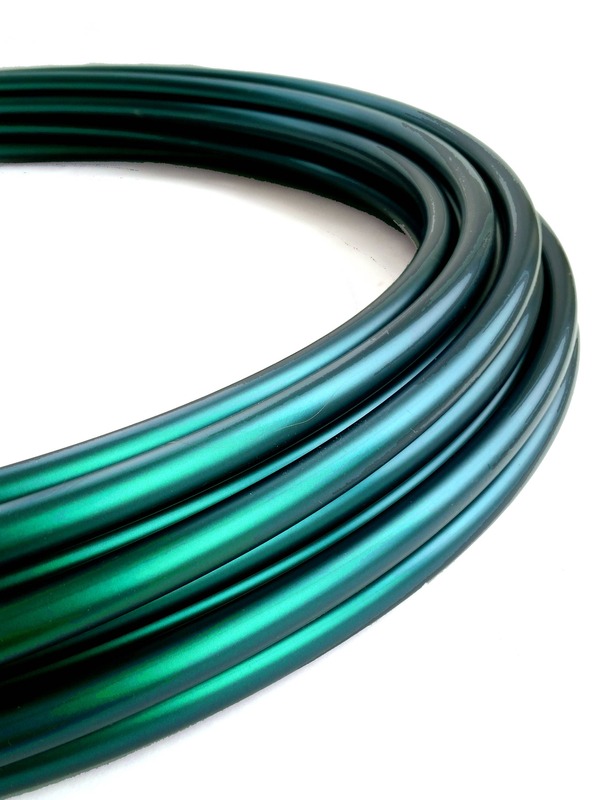 This tubing shift in color from metallic green with black undertones. I have 3 hoops from here and plan to get more. Ships quickly and Danielle is super helpful. Nothing but great experience with this shop! Came early. Nice connection. Beautiful hoop. Was not able to get hoop to stay circular. Oval shaped.